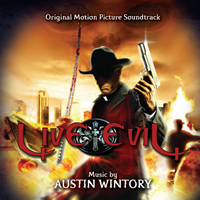 BUYSOUNDTRAX Records presents LIVE EVIL, featuring music composed, orchestrated and produced by Austin Wintory. LIVE EVIL is a limited edition release of 1000 units. The first 100 copies will be autographed by the composer. For customers who purchase both of our new release titles, FINALE and LIVE EVIL, we will include a FREE CD of Austin Wintory's ambitious 2008 concept album, SPIRIT OF THE COSMOS, featuring music composed and conducted by Austin and performed by the Utah Symphony Orchestra.